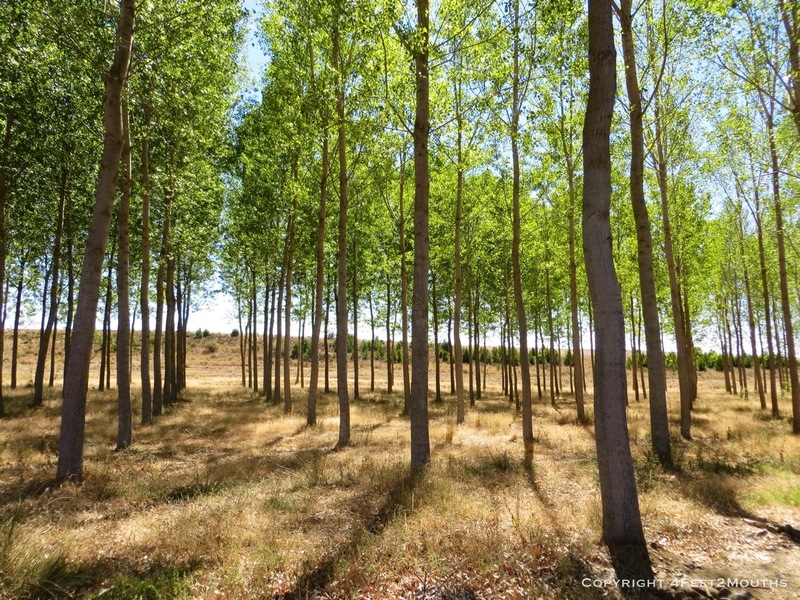 We were in the final stages of the meseta, the flat and largely shadeless plateau stretching 231 km (144 mi) between Burgos and Astorga. The sun was hot but the lack of change in elevation meant we could achieve greater distances. 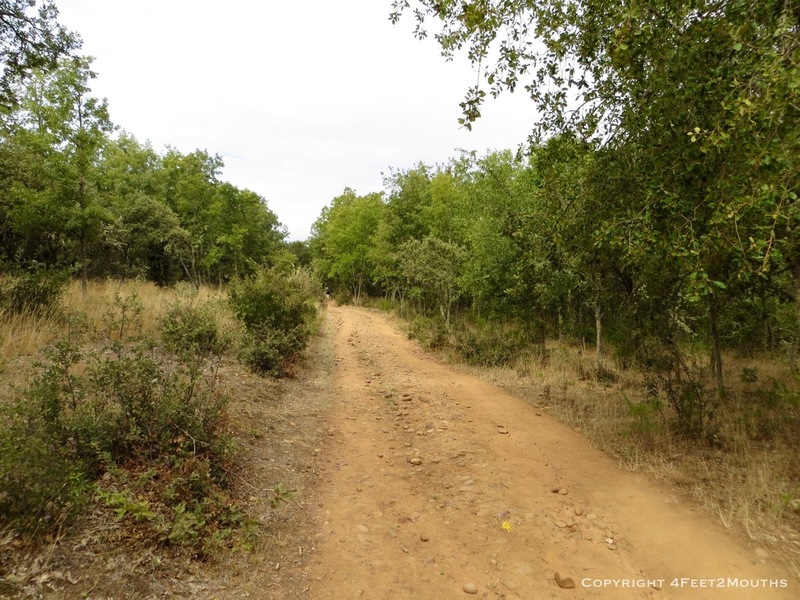 With this in mind we endured long walks from Carrión to Sahagún and then to Mansilla. We stole shade when we could from the small tree farm groves that would spring up occasionally. The towns themselves were rather unremarkable places. The true highlight was mingling with other pilgrims, either over a dinner in the main square or a beer in the albergue courtyard. By this point, León was in our sights. This one of the larger cities on the camino and as soon as we passed the medieval city walls into the old town, Nathan and I were impressed. A maze of cozy winding streets led out onto pleasant plazas. There were a two main historic sites to see. 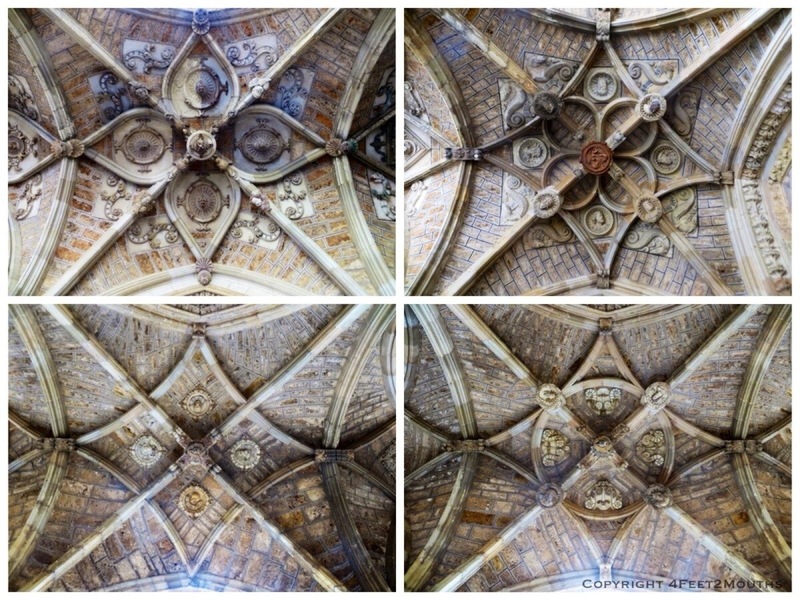 The first was the painted ceiling of the Iglesia de San Isodoro. Frescos almost 1000 years old look down on the tombs of kings from that period. I was so amazed at how the biblical stories depicted are still relevant so many years later. The second sight towers above the entire city. The nearby cathedral was the true gem, though. 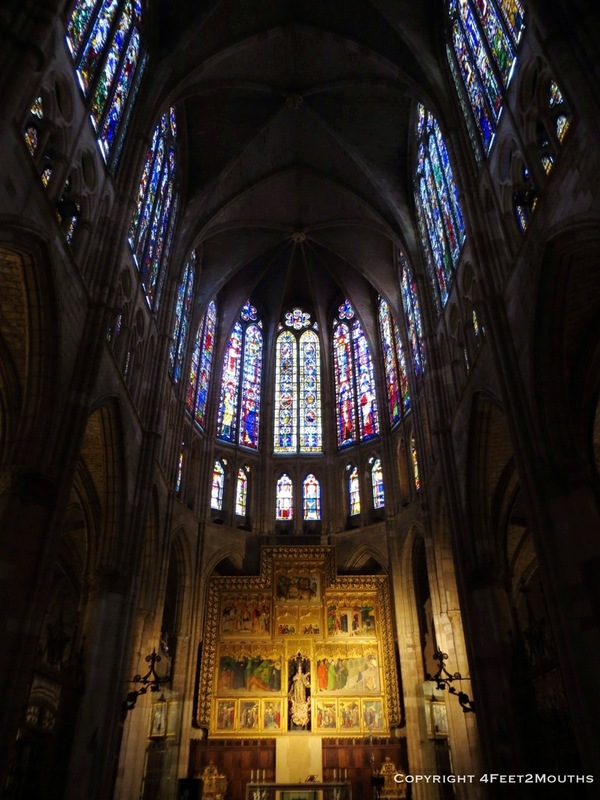 They had used advancements in the gothic architecture of the time to build soaring ceilings and walls of stained glass. We were also treated to a building by a favorite architect, Gaudí. We learned that the building was significant as the first major building in the town to be built by a middle class citizen as opposed to the church or aristocracy. For dinner we settled into a small plaza ready to people watch. 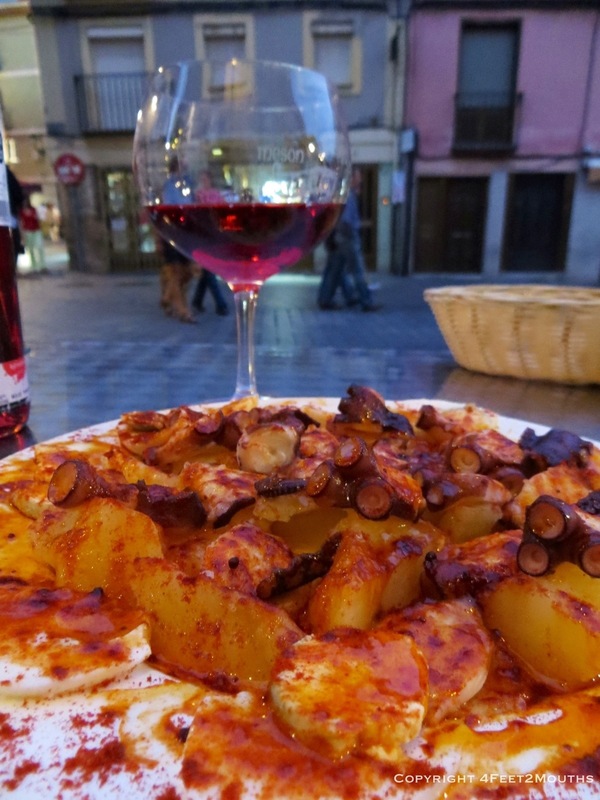 While deciding what to order we saw a plate of pulpo (octopus) pass by and we had to have it. With a. bottle of rosé we watched the street theater come to life. By the time we finished eating at the very early hour of 9:30pm, things were just getting going. But it was bedtime for us. 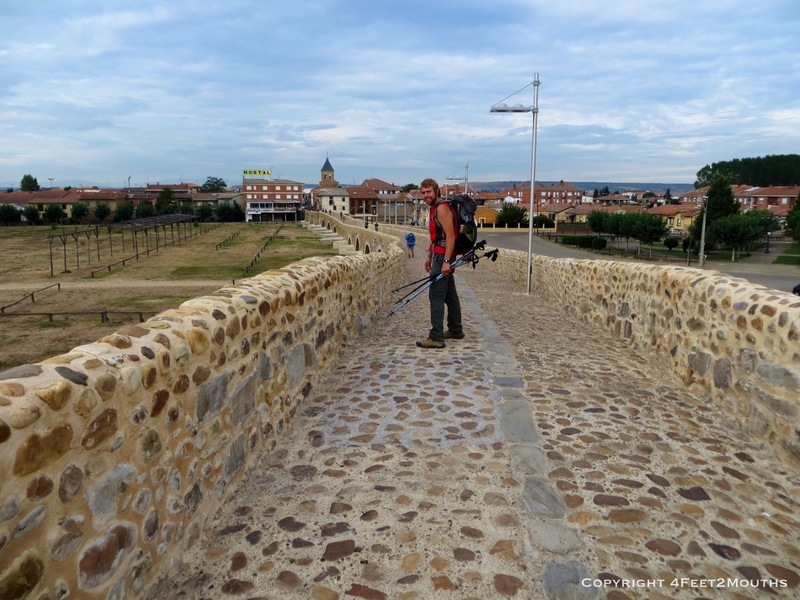 The next day I was dealing with the side effects of an unfortunate reality of the camino – bed bugs. I learned that my proclivity for attracting mosquitos meant I was extremely attractive to their blood-sucking, bed ridden cousins. It is truly disheartening to feel so vulnerable and helpless against the attack of such a tiny creature. And, like mosquitos, I am allergic. 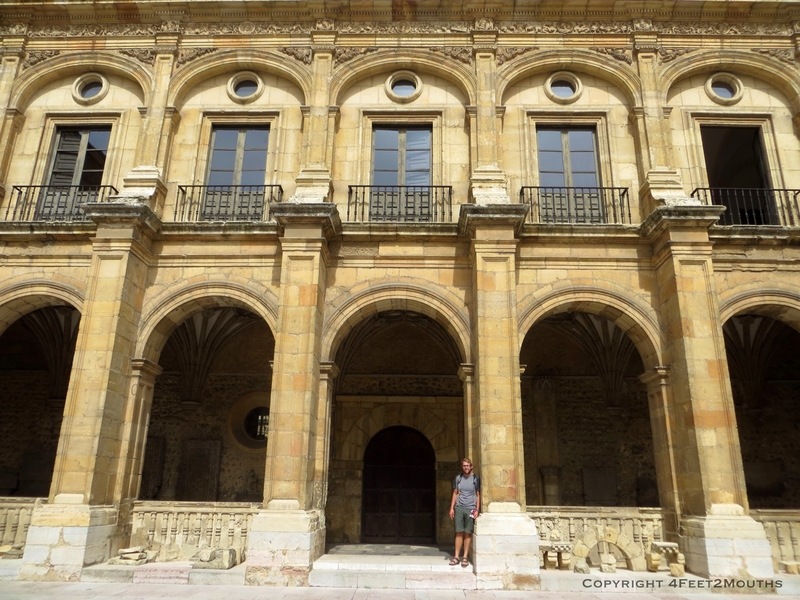 On the morning we left León, my body decided to react to a collection of bites on my big toe by forming a giant blister. Not good when you have 35km ahead of you. So we made it a short day and ended up at Casa de Jesús (named after the owner) in Manarife. It was a strange day since we felt that we had more energy to walk off but my toe prevented further movement. We used our time to write, do laundry, catch up on the internet and recoup in general. 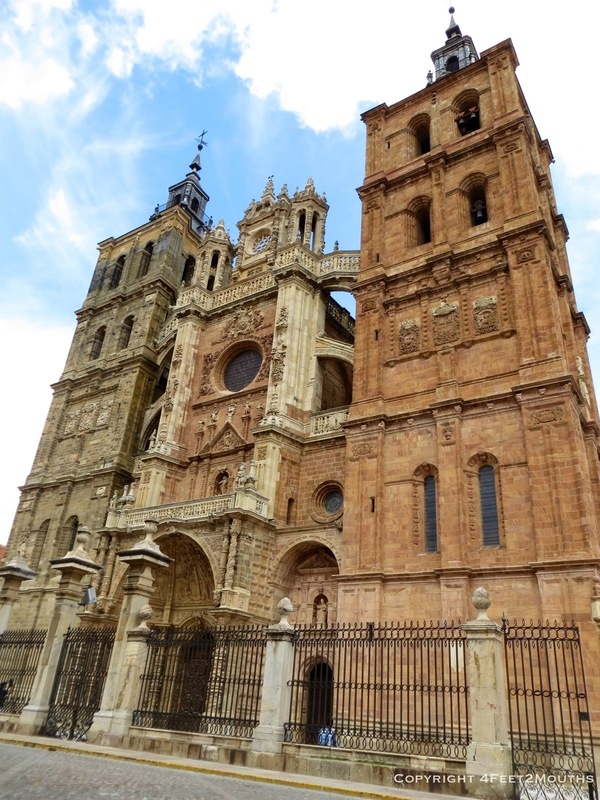 But since Manarife was extremely tiny, we were anxious to move on to Astorga the next day. 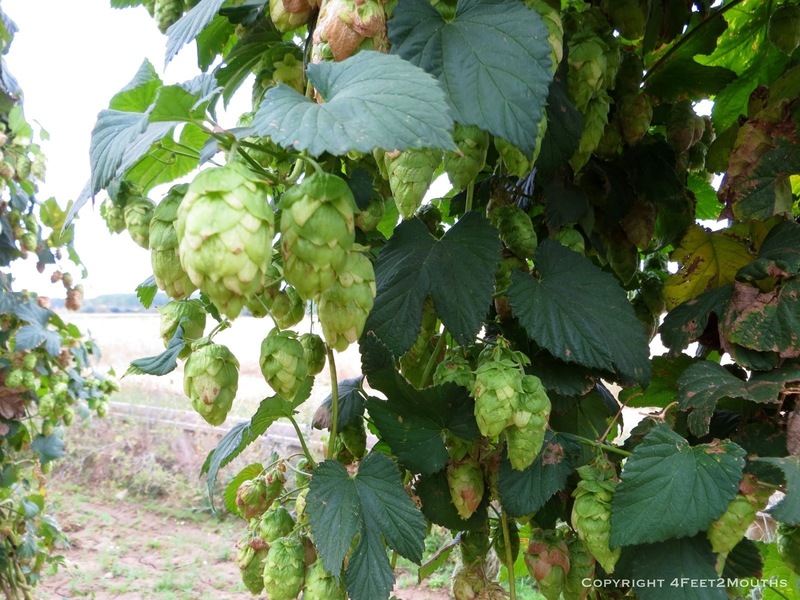 The walk to Astorga passed through cute towns, more trees and even a crop of hops. As we neared our destination I suddenly realized that I had left my skirt on the clothes line in Manzarife. It was just a skirt but I had only brought one other pair of pants. I also cherished this skirt as the perfect travel wear since it also turns into a halter top. Seriously, how cool is that? For the rest of the walk I had to force myself not to think about the loss. 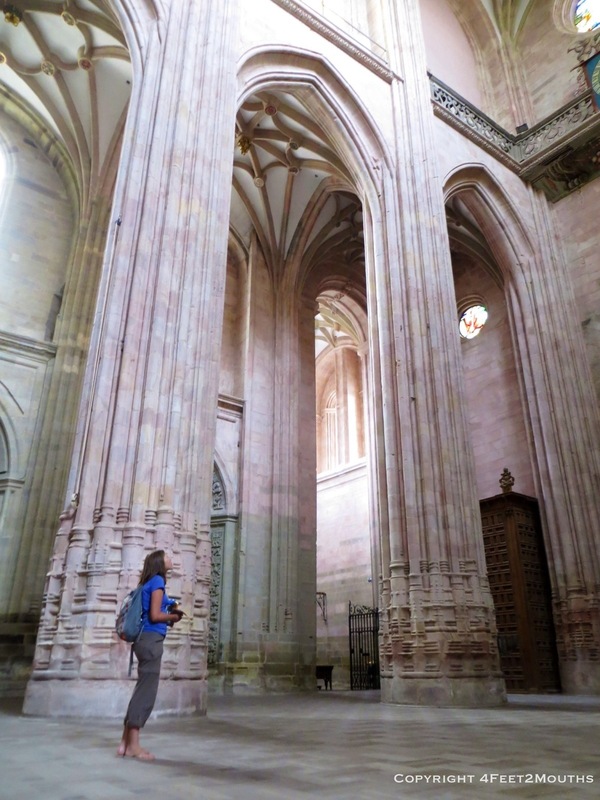 In Astorga I was resolved to act. I called the albergue and arranged for my skirt to be taken with a transport company that usually transfers people’s backpacks to a town I would pass through the next day. I also called the place it was to be delivered so they could expect it. Accomplishing all this in Spanish was a feat and I was proud. Afterwards we walked around Astorga, which surprised me by how pretty it was. We meandered along the shops selling jamón, chocolate and a local shortbread called mantecadas. We joined some fellow pilgrims for wine and tapas in a broad plaza. 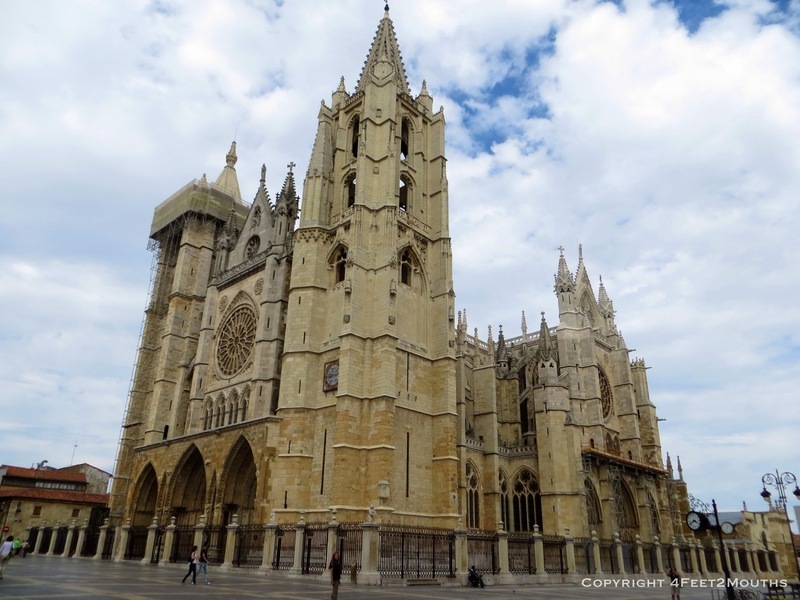 Then we headed over to the cathedral – yes another one! It’s lucky that neither Nathan nor I get tired of going to these magnificent structures. Each one has its own story, architecture and feel. This one was rather bare inside but had a beautiful baroque façade. Next door we explored another excellent Guadí building, originally constructed as a monastery. His creative decor of ceilings and walls always amazes me. I also liked that the entryway included his signature art nouveau arch. The next day, I arrived at the meeting point I had arranged for my skirt hopeful only to find that the backpacks had arrived but not my package. After a few calls I was told he was coming. I tried not to get my hopes up as I waited. But came he did and I was reunited with my favorite skirt. When I asked how much I owed he waved me away and said nothing. It was so kind and I left the albergue buoyed on a wave of gratitude. 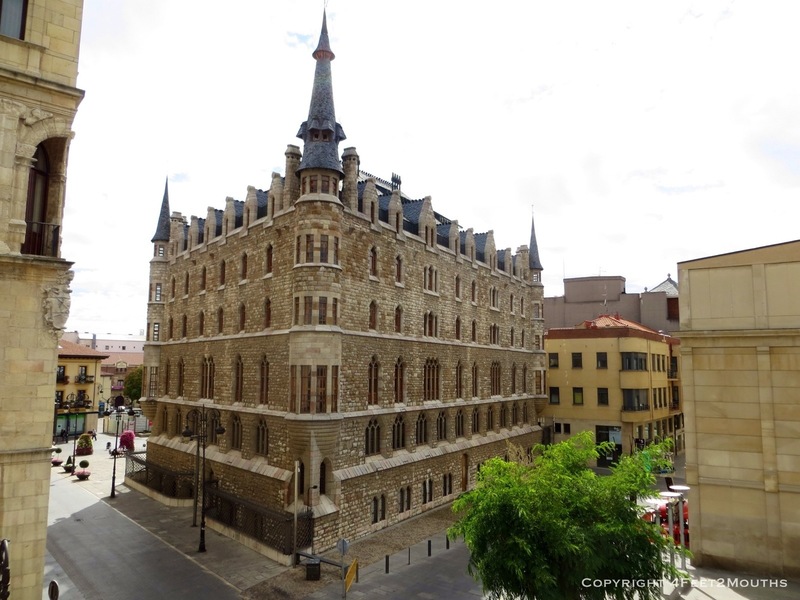 I felt so so grateful – to Jesus the albergue owner in Manarife, to Jose Luis for driving it, to the staff at Albergue del Pilar for trying to help me figure things out. It was the kindness of strangers that made me feel cared for, even loved. It got me thinking about the power of love in all its forms. How easy it really is to give and receive. How it is a common link of everyone in the world. How there should be more of it. I got to thinking about the people I love in life and how I wish I could spend more time with them. In the end I was moved to tears over a silly skirt. The tears were not of sadness but I felt as though all the love of the world had entered me and filled me up. These moments of awareness or enlightenment or whatever you want to call it are so fulfilling yet fleeting. It’s funny how you can feel clarity on how the essence of life one moment and then it becomes somewhat elusive the next. Even as I write this it is hard to understand the intensity of emotion I felt at that moment. That is what the camino can do though. It wears you down mind, body and soul until you start afresh and appreciate everyday life’s small miracles. I love and recognize the sentiments in your final paragraph. It does wear you down and, in so doing, soften you up a bit. 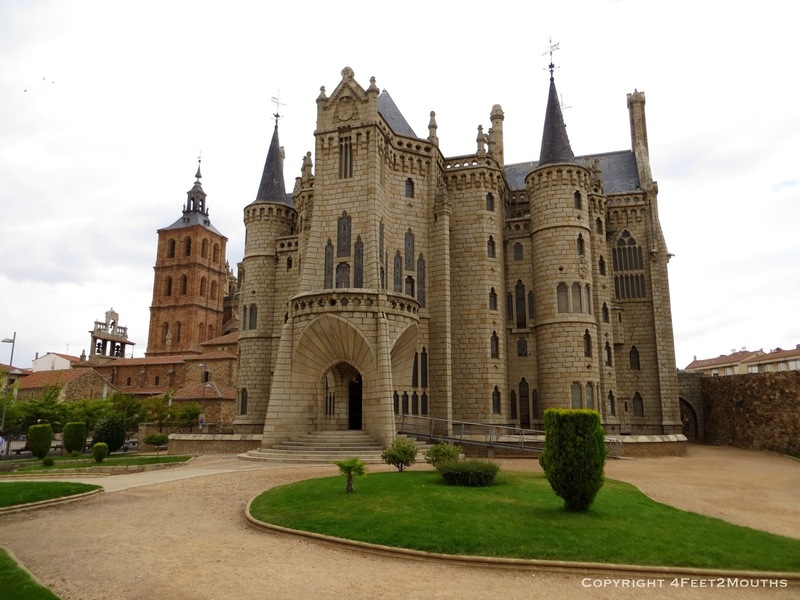 I remember walking through Astorga well – and its chocolate factories and shops. Buen Camino. Enjoy the skirt. And the small miracles. 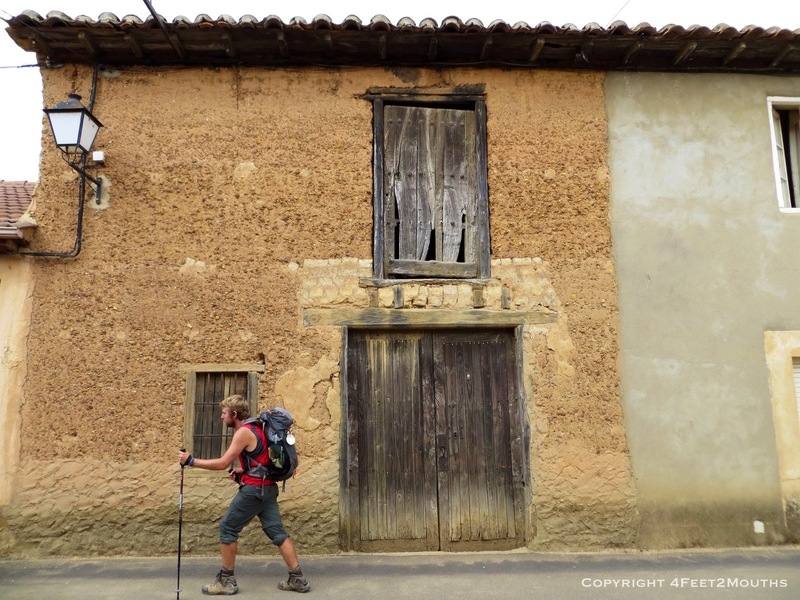 Adam, nice to see that you are enjoying the camino portion of our blog. 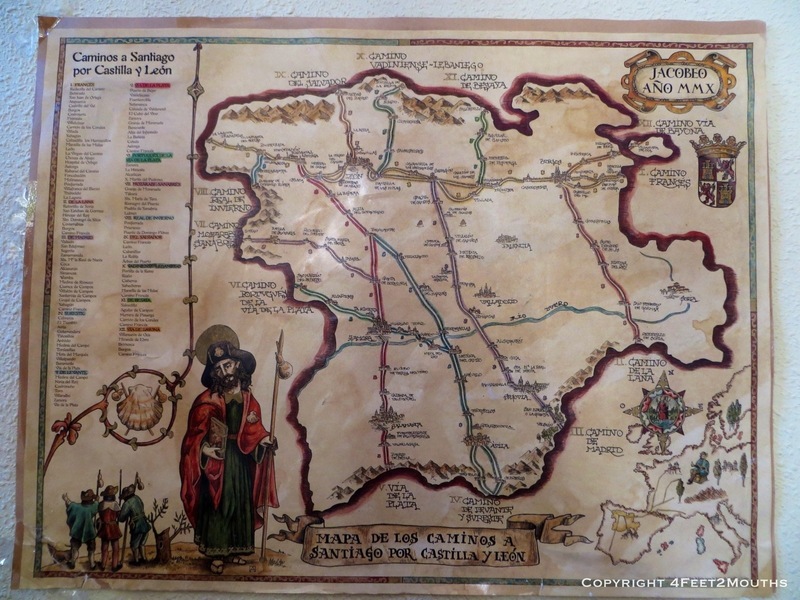 The camino definitely softened us in areas mentally and physically that we could never have guessed. Its awesome how strangers can change your life without even knowning it! I love your skirt, but did you know there is a dress that can do 15 different things too!!! Have you read about the boxer shorts that can be worn four different ways without washing?